I joined a bipartisan group of Senators in pressing newly-confirmed Secretary of State John Kerry to approve the Keystone XL pipeline within the first quarter of the year. In a letter to the State Department, we called on Kerry and President Obama to provide the public and other stakeholders with a definitive process for approving the project by the end of March. The Keystone XL pipeline has been under review for almost four and half years. As you begin your tenure as Secretary of State, we urge you to make the timely approval of the Keystone XL pipeline one of your top priorities. We believe that you and the President should remain committed to reaching a decision within the first quarter of this year. 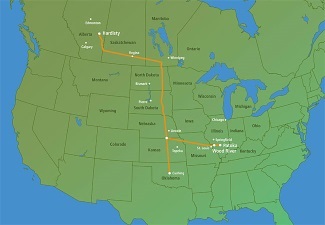 The State Department received the new route approved by the state of Nebraska on January 22, 2013, but the Department has yet to inform the public and stakeholders of a definitive process for the final decision. We urge you as Secretary of State to ensure that this decision process be completed promptly. As you noted in your recent discussions with the Canadian Foreign Minister, John Baird, we have an important energy relationship with Canada. The Keystone XL pipeline will supply both energy from our closest friend and partner and create jobs in the United States. Further delay will continue to hurt job creation and may damage our relationship with Canada. We cannot afford more delay.